In the past, it was once sufficient for professionals to become proficient in their own industries. Now, however, businesses and consumer needs are changing at such a rapid pace that it pays to have a diverse and incredibly flexible range of abilities. This will help you retain your marketability and your profitability, should your current field evolve in such a way that makes your position expendable. Following are several, impressive benefits that you can gain by diversifying your skills in your downtime. One of the first and most obvious benefits that you can gain from these efforts is to make yourself more marketable. With more skills to draw upon, you will be able to apply for a greater number of jobs and projects within a much broader range of industries and niches. This will help you survive any radical changes in industry that diminish your earning abilities or reduce the number of jobs available. Many people find it hard to secure paying work after their industries have undergone significant change. Those with flexible skills, however, are far more useful and adaptable and thus, they do not experience any major decreases in their overall life qualities. You will find that areas in which you've had no former experience are willing to accept you and at a decent pay rate, so long as you have the appropriate certifications and skills. Surprisingly, even if a certain form of training is unrelated to your current job, it could make you a much more valuable employee overall. This is certainly the case if your current employer is currently outsourcing needs that you are suddenly capable of filling. You can handle these same needs in-house, and at a much lesser cost to your employer and with far better quality control. This additional training can be especially advantageous if your employer has a mandatory personal development program in place. Each class that you complete or certification that you get will show your commitment to complying with this program. Moreover, you will invariably be increasing the amount of value that your employer gets from the trained talent you represent. Some companies are even willing to cover the costs of outside training for their employees. This remains true even when the skills being fostered are not directly related to their normal operations. In addition to creating more well-rounded employees and a lesser ability to outsource special projects, new skills can make workers more confident and motivated in ways that directly enhance their companies. Finally, all modern consumers should be looking at ways in which they can strike out on their own. There are countless opportunities to generate extra revenue online in your spare time. Few people would scoff at the idea of extra money, especially if they can earn it while doing something they love. For instance, if you enjoy taking pictures, one example of this would be enrolling in photography courses online. 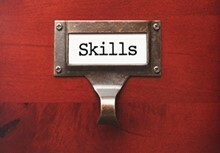 You will gain the skills and industry knowledge you need for leveraging your talents over the web. This could lead to paid projects for wedding photos, infant photography, school pictures, book projects and more. There is a lot to do in your idle time and get skilled. To have the real benefits, go with makeup courses or the photography classes from here.